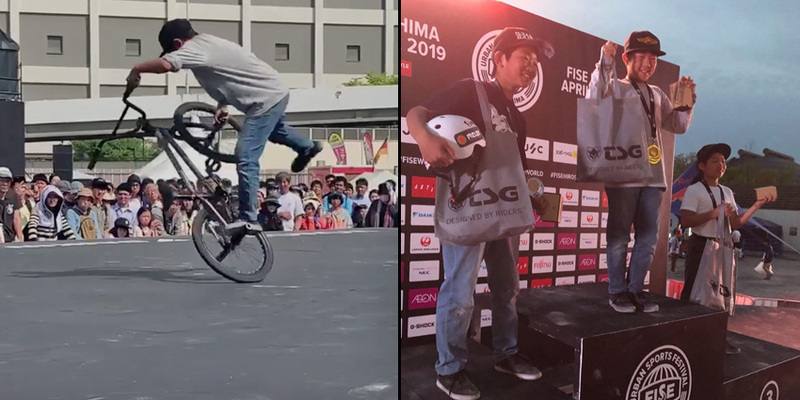 We are so stoked for Freestyle Now recruits squad member Jigen Omotehara for winning the juniors class at the 2019 FISE in Hiroshima. 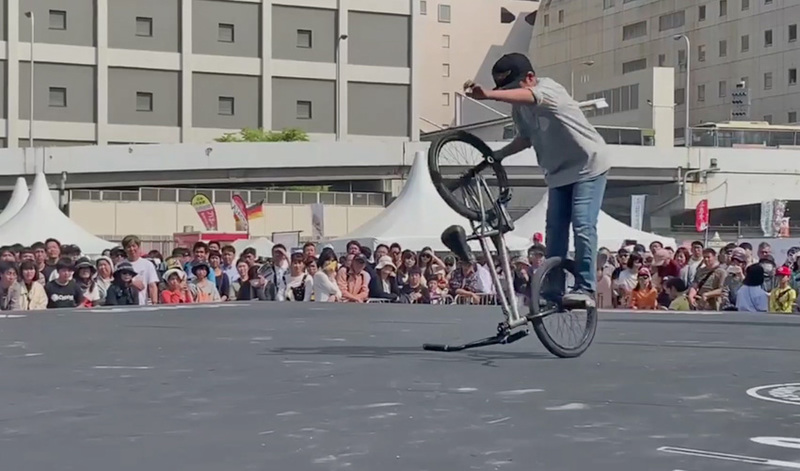 Jigen Omotehara is a super rad 12 year old bmx flatland kid. Coming from Osaka in Japan he has been riding bmx flatland since he was six. In November 2018 Jigen joined the Freestyle Now squad as a recruits member. His win in the junior’s class at the FISE Hiroshima contest shows he is a future bmx flatland pro in the making. Freestyle Now is very proud to have Jigen as part of the squad. Keep rolling out the rad. Jigen Omotehara linking his way into a time machine and taking the winning spot on the podium at FISE Hiroshima. Jigen Omotehara rolling a hitchhiker on his way to winning the juniors class at the 2019 FISE in Hiroshima. Freestyle Now squad member Karee Furneyvall takes you through a step by step guide on how to do a feeble grind on a ledge. A feeble grind is a basic trick with great building skills. It looks easy but if you don’t know the steps you will struggle to achieve the goal of doing feeble grinds. Karee breaks down the steps so you can understand what you can do to help you through a feeble grind. Freestyle Now recently performed some bmx and scooter stunt shows at the 84th Heytesbury Agricultural show in country Victoria. The day turned out to one of the hottest days the Victoria had seen in all in months. Freestyle now squad member Lee Kirkman led the charge at the Heytesbury Agricultural show along with good friends Billy Watts on scooter and Luke Tooze who made the track from Perth just so he could help roll out the rad at the show along with Melbourne riders Matt Stowe and Liam Joyce to round out the shows performers. The entertainment value was high with 360’s backflips and frontflips taking place over the four stunt shows. Freestyle Now got some great feedback with show organizer Michelle Holmes said “The entertainment was really good, particularly Freestyle Now stunts shows”. 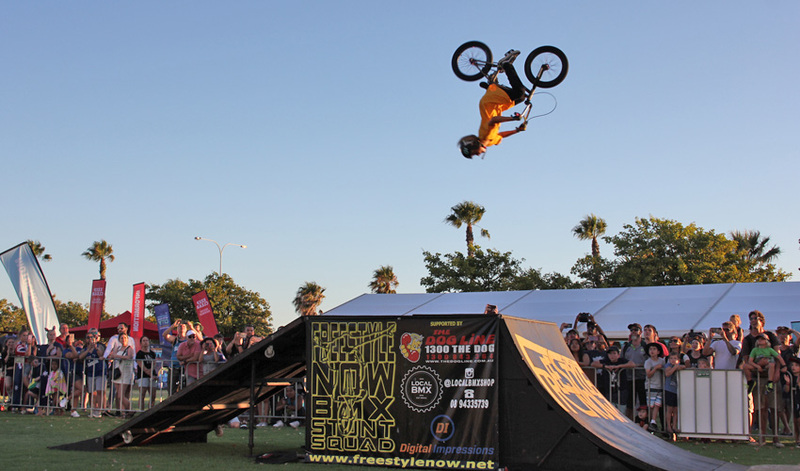 Make sure you check out our coming events page to see where the next Freestyle Now stunt shows will be going down. If you would like this type of great entertainment at your next event please get in contact with Freestyle Now with your requirements. 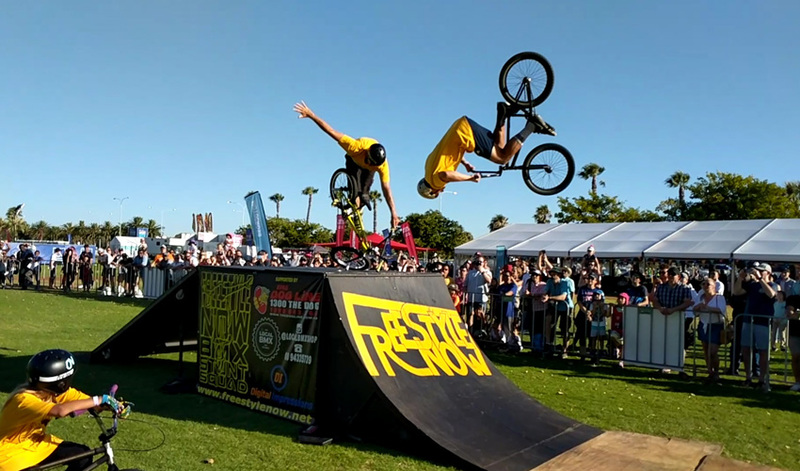 A full list of all the stunt shows that Freestyle Now has ever done over the past 32 years can be found on our past stunt show page. 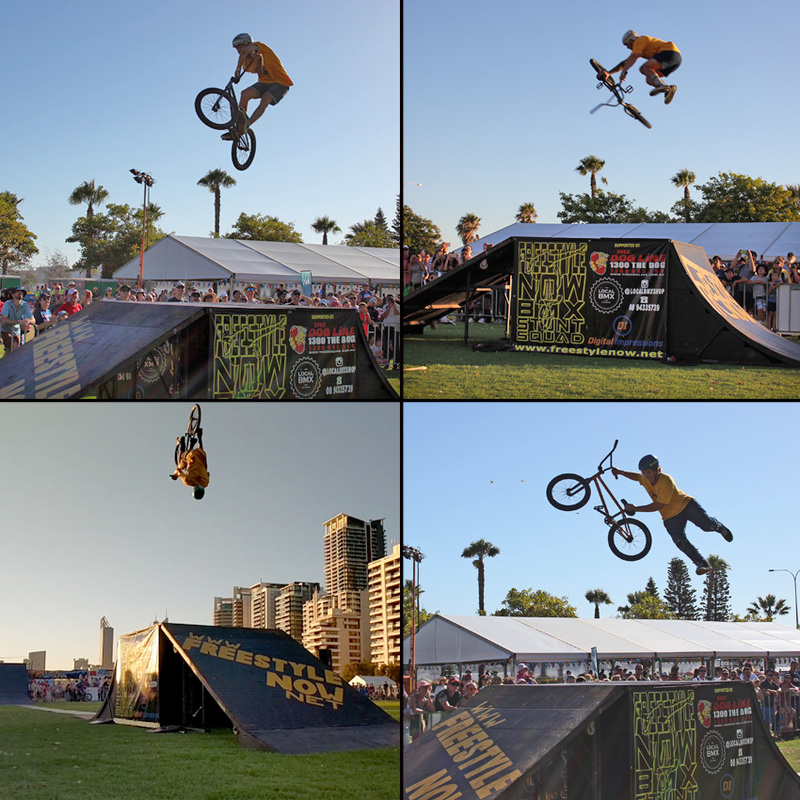 Clockwise from top left – Luke Tooze travelled from Perth just so he could do griz airs at the Heytesbury agricultural show – Freestyle now squad member Lee Kirkman getting loose with a backflip invert – Good friend of Freestyle Now Billy Watts is a power house in scooters and his 360 nohanders are awesome – Lee Kirkman spinning that double 180 for the Heytesbury show spectators. More photos can be found on our facebook page here. 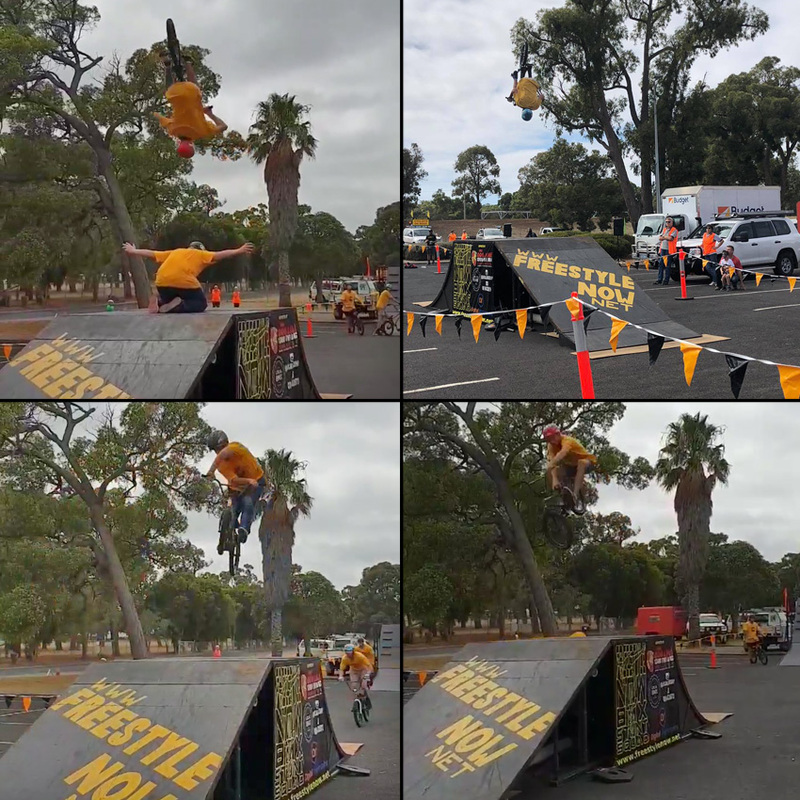 Check out some of the video action form the Heytesbury Freestyle Now bmx and scooter stunt show. Freestyle Now was recently at the Ficifolia Festival in Drouin Victoria to manage a bmx, scooter and skateboard skatepark competition. Drouin is a town in the West Gippsland region about 90 kilometres east of Melbourne. The Ficifolia Festival was a great event with a massive street parade lots of entertainment and stalls. With $800 prize money up for grabs thanks to the event sponsors, the competition was on in the open class to win some of that cash. Drouin Cycles gave out some rad prizes for the afternoon competition as well with all competitors taking home prizes. Freestyle Now squad member Lee Kirkman entered into the competition and took home the 3rd place, his first skatepark competition in about 4 years, so it was great to see him shred the park. There was only a short time frame to run the competition in the afternoon to fit within the Ficifolia Festival schedule but in true professional manner Freestyle Now got the competition done in time with great accolades from the competitors, festival organizers and parents. It was great to see the Drouin skatepark competition building in participation levels with many new competitors coming to help roll out the rad. There was a great turnout from the town at the competition with one head count at 400 spectators. Work is underway for the 2020 Drouin skatepark competition so don’t miss it as once again its going to be a rad time. Thank you to the event sponsors Bendigo and Districts Bank, Drouin Cycles, McDonald’s Drouin, The Committee for Drouin and Michael Robinson Photography. 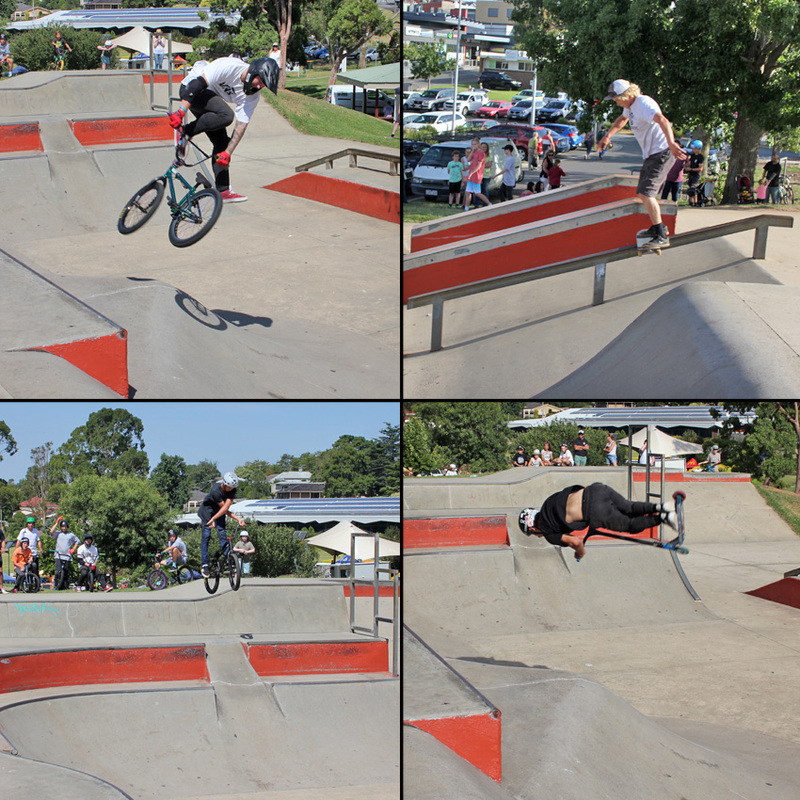 Clockwise from top left – Open bmx rider Jai Bradley came to Drouin with a winning look in his eye and left Drouin with $200 and a gold medal – Drouin local Justin Brebner knows how to skate his local park. He knows also how to take the win in the open skateboard class – Tom Green rode his scooter so well and did awesome tricks like the flip on the hip. the judges gave him the win and the $200 – Olly Ferguson threading the needle and locking in the rad Xup. Olly went home with the win in the bmx intermediate class. 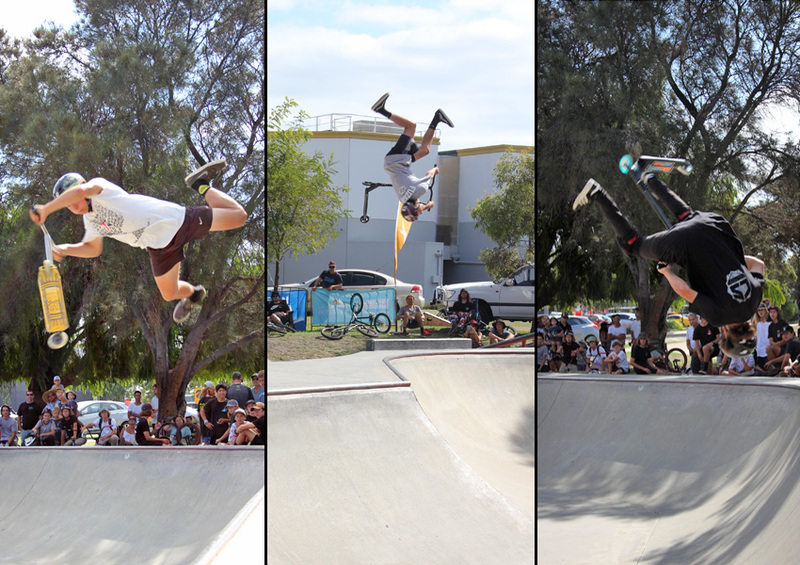 Freestyle Now squad member Lee Kirkman getting his flair on at the Drouin skatepark competition for the 3rd place. The kids face says it all. Scooter beginner – 1st David Espie, 2nd Seth Hill, 3rd Rory Cross, 4th Chase Gregory, 5th Nate Joiner, 6th Brodie Beechey, 7th Zavier Hollier, 8th Radd Kight, 9th Krue Knight, 10th Beau Beechey. Scooter intermediate – 1st Jack Cross, 2nd Ash Stanfield, 3rd Cameron Mann, 4th Wyatt Price, 5th Brandon James, 6th Wil Trewin, 7th Kaide Perry. 8th Ben Stanfield. The 2019 Bassendean Gravit8 festival was an awesome event. For about 7 years now the Gravit8 festival has been a highlight on the events calendar, if you have never been you defiantly have been missing out. The Bassendean youth services team really put 100% into organizing the event. The sound system is amazing with the DJ really working the tunes. The timing schedule on the skatepark competition is really important with only four hours to get through fifty competitors. As always Freestyle Now managed the night in true professionalism and got through the competitors as well as hosting jam sessions between the competition rounds, it was a jam packed night without a doubt. The energy from the night defiantly helps the skatepark competition participants be more hyped up to go harder in their competition runs. So much great riding went down. 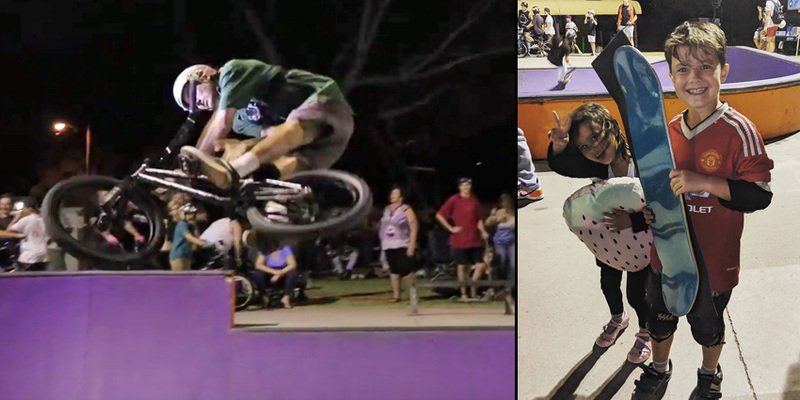 A few stand outs were Freestyle Now newest reserves squad member Dylan Reese taking the win in skateboard open but also showing how talented he is by taking the win in bmx intermediate as well. It was also great to see Freestyle Now recruits squad member CJ Martinez skating and taking the second in skateboard intermediate. Jack Graham Arho who has only been to a few Freestyle Now skatepark coaching sessions took the win in skateboard beginner ad won a new skateboard deck from The 4 skateboard co, he was so stoked and left that night with a massive smile on his face. Chris Coglais had entered into bmx intermediate in what was his first competition but as soon as he dropped in we could tell he defiantly needed to move up to the open class which he did and took home the 2nd place. When 2020 comes around and you see the Gravit8 festival scheduled in make sure you attend even just as a spectator as the energy and vibe at the event is nothing but pure radness. A big thank you to the Town of Bassendean for making it happen and also to our supporters Colony BMX , The 4 skateboard co, Modus bearings and grit scooters. Our next skatepark competition takes place in Bunbury as part of the Action Sports Games on the 17th march so be sure to check our coming events page for more info. Be sure to check the video form the 2019 Gravit8 such a rad vibe. Luke Tooze getting his barspin on for a first in open bmx, was such a treat to see him destroy the skatepark with his unique style. Jack Graham Arho is still smiling thanks to winning skateboard beginner and a new skate deck. More photos of the competition can be found on our Facebook page here. BMX beginner – 1st Mason Egan, 2nd Cacey Harvey Hill, 3rd Cooper Morrow, 4th Campbell Wilson, 5th Matt Bertone, 6th Albie Livesley. 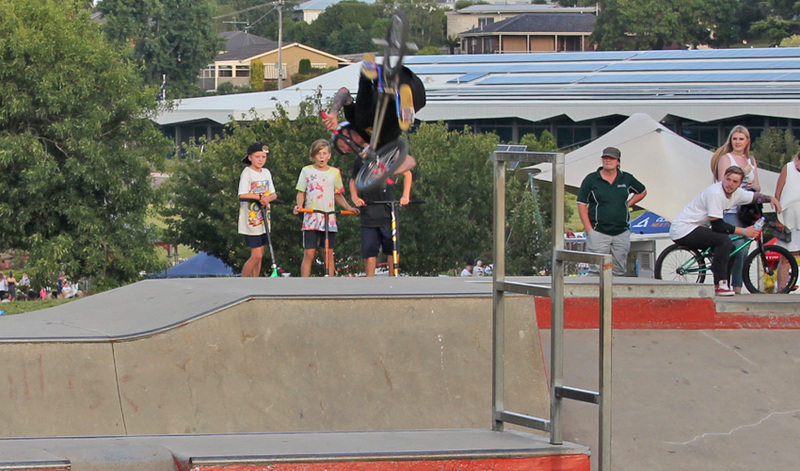 Freestyle Now hosted a skatepark competition at the Ballajura skatepark. There was a good solid turn out of competitors considering it was a weekday competition held during the school holidays. Lots of good riding went down and many riders were stoked on their runs. A big thank you to the City of Swan for their support and also to our supporters Colony BMX and grit scooters. Our next skatepark competition takes place in Bunbury as part of the Action Sports Games on the 17th march so be sure to check our coming events page for more info. Winners are grinners. More photos of the competition can be found on our Facebook page here. Scooter intermediate – 1st Connor Duffy, 2nd David McGregor, 3rd Lachlan Reedy, 4th Dylan Edwards, 5th Desin Nitiprecha, 6th Tate Trpchev, 7th Jamahl Martin, 8th Jake Jones. Scooter Open – 1st Mason Baughan, 2nd Joshua O’Neil, 3rd Jayden Woodlands, 4th Jarom Teki, 5th Tyler Anderson, 6th Alexander Tolcon. 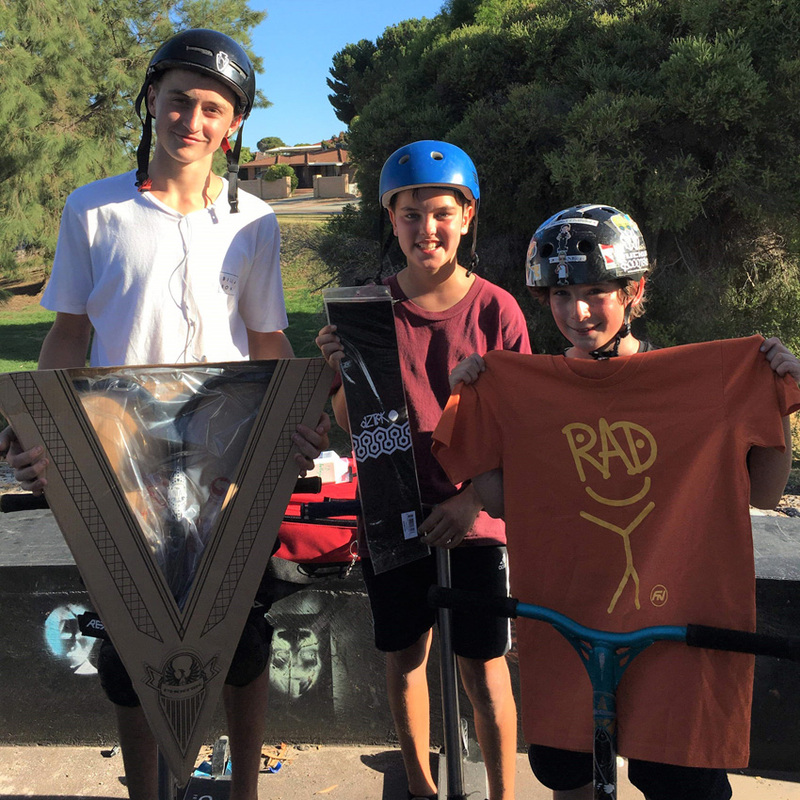 BMX beginner – 1st Matt Bertone, 2nd Mason Egan, 3rd Campbell Wilson. 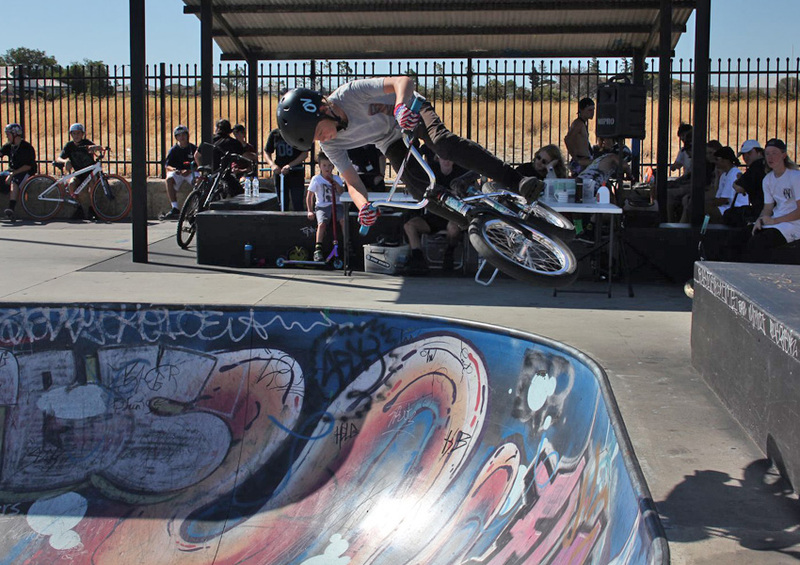 Freestyle Now hosted a skatepark competition at the Ellenbrook skatepark. The day was a hot summers day, and to see a great parental support turn out and hang out in the shade and support all the competitors was great to see. A big thank you to the City of Swan for their support and also to our supporters Colony BMX and Grit scooters. 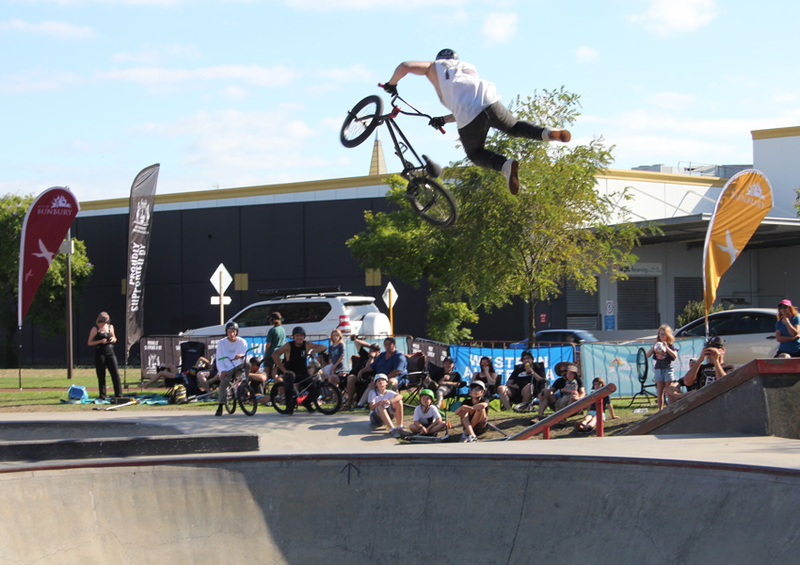 Our next skatepark competition takes place in Bunbury as part of the Action Sports Games on the 17th march so be sure to check our coming events page for more info. Scooter beginner – 1st Brenten Waddingham, 2nd Stefan Houlis, 3rd Alexandra Tayler, 4th Zavier Morrison. Scooter intermediate – 1st Kalen Taylor, 2nd Mason Baughan, 3rd Connor Wilson, 4th Mason Jordan, 5th Mason Lach. Skateboard – 1st Oli Lane, 2nd Lucas Magistro, 3rd Trent Mills. BMX beginner – 1st Campbell Wilson, 2nd Cody Steel.